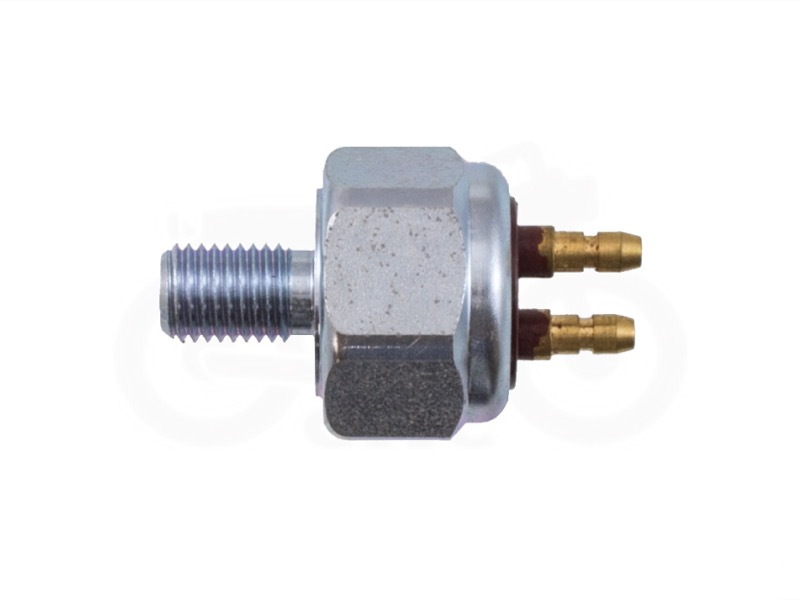 Why You Need This: Brake hoses should be replaced, period. I am amazed how many old bikes I see running the original hoses that are over 40 years old on them. 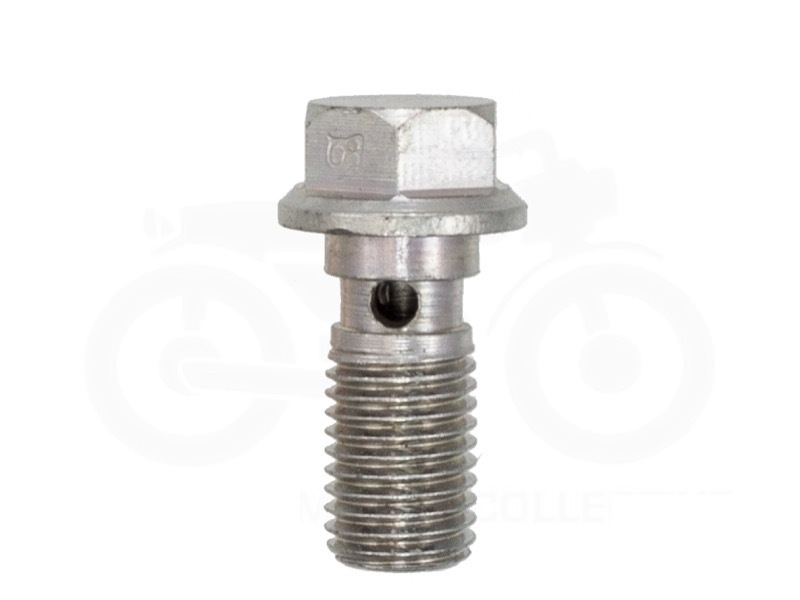 The front brake does 80% of the stopping on your motorcycle and the hoses put the power of the master cylinder to the caliper, both of which should be rebuilt. 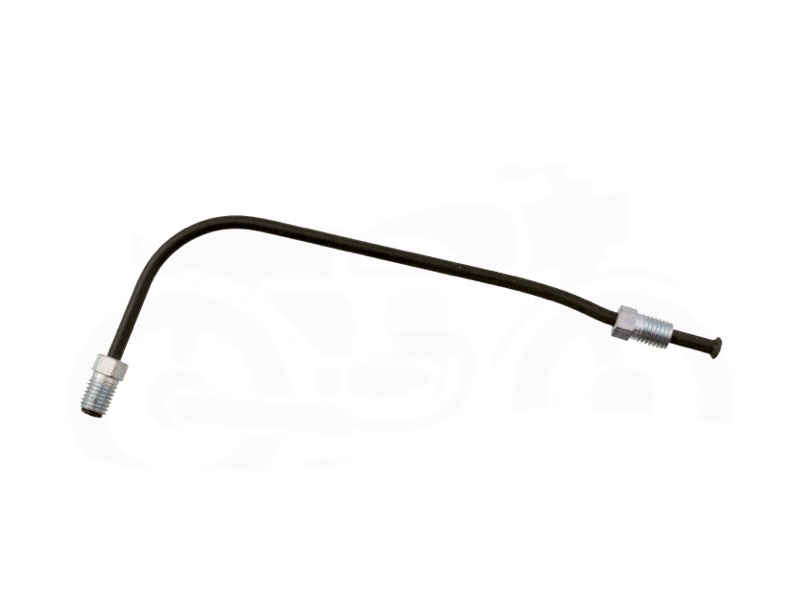 If you are still running old cracked brake lines that came on your Honda CB360, CB450, CB500T or CB550 it's time to change them. These are factory style rubber brake lines sold as a pair of upper and lower hose along with fresh copper sealing washes for the banjo bolts. 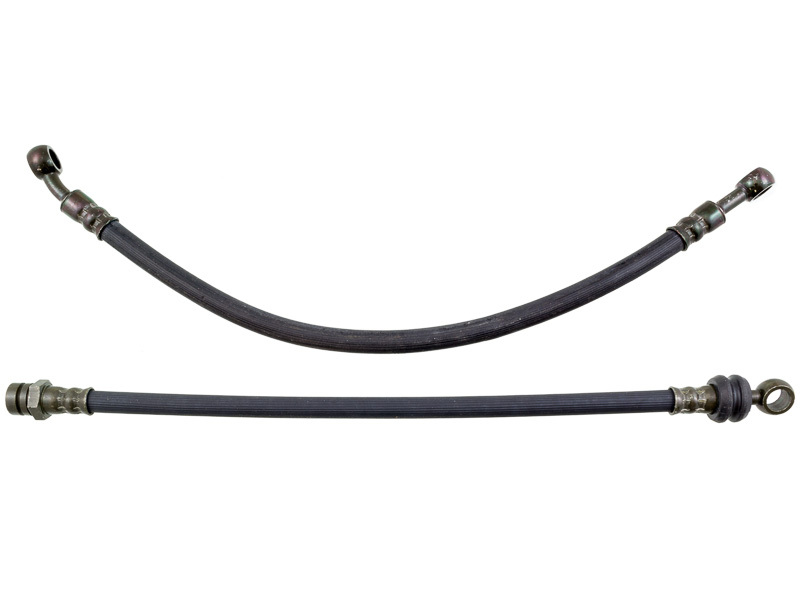 If you want to upgrade the front brake, check out our stainless steel hoses. Installation Tip: Inspect the hard line going to the caliper tends to get chewed up, replace if it is worn. Make sure the junction block is clean and free of goo and the brake light pressure switch is working. Swapped out my 42 year old hoses for these and they fit perfectly. The metal fitting ends are a darker tone than the original silver colored ones, but I wasn't after perfect authenticity, so no problem.